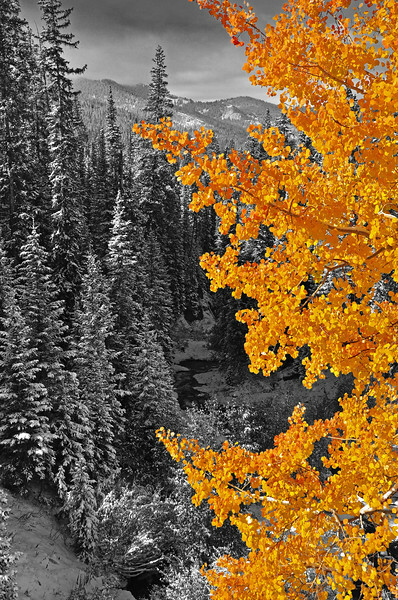 This is not the story a single trip to Crested Butte, CO. Rather, it is the story of me falling in love with the town - and covering my walls with its beauty. 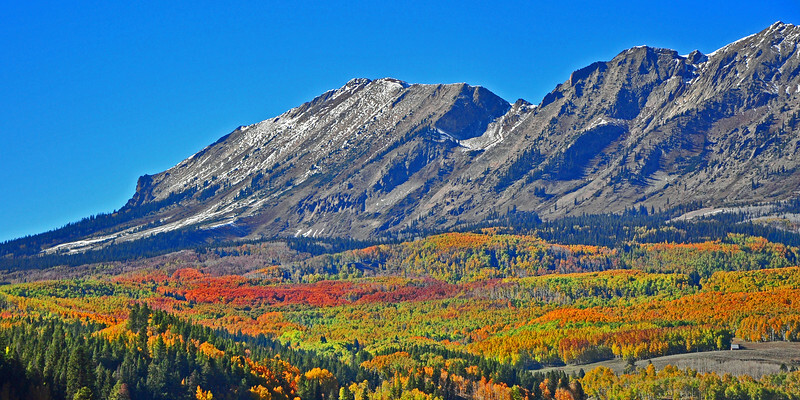 It is my favorite mountain town, and is surrounded by incredible mountains, forests, and activity. My wife and I stay at the Purple Mountain Bed and Breakfast, and it's a wonderful little place. The owner takes great care of his guests, and has great advice for any level of activity. 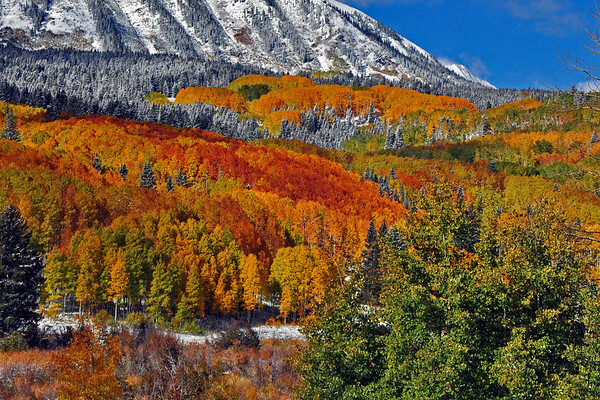 Crested Butte is made up of two towns: Crested Butte, and Mount Crested Butte. The former is quaint, fun, and delicious. The latter is a cookie-cutter ski town. Don't waste your time in the latter unless you're skiing the mountain. The town itself is picturesque - cute buildings, a stream through town, and beautiful backgrounds with mountains, and often light cloud-cover for sunrise and sunset. Since the town is nominally a mountain biking and ski town, chilly fall days are a bit quieter (but only a bit). 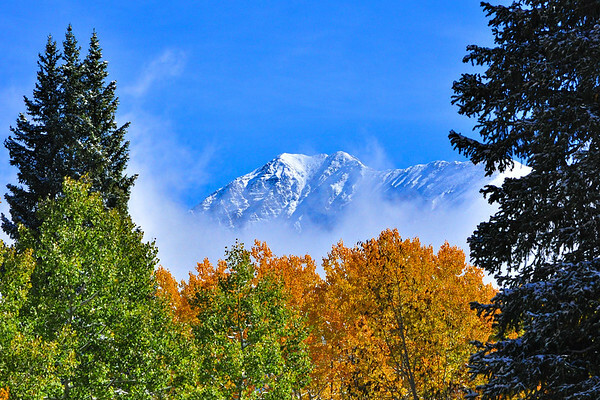 Sunrise is generally quiet around town, but sunset is busy year-round as Crested Butte has the most fine dining per capita of anywhere in the US. 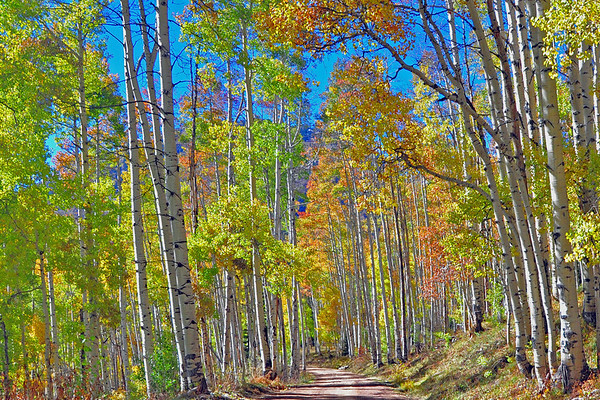 An easy dirt road, with a picturesque valley all the way back to Mount Crested Butte - this is a great place for photos of the Red Lady, fall colors, and people enjoying the outdoors. I have some great photos of mountain bikers and horses from this area. I've left the best for last: the best part of this area is the wildflowers. The first time I drove Kebler Pass is the trip that resulted in all of the photos on the left. 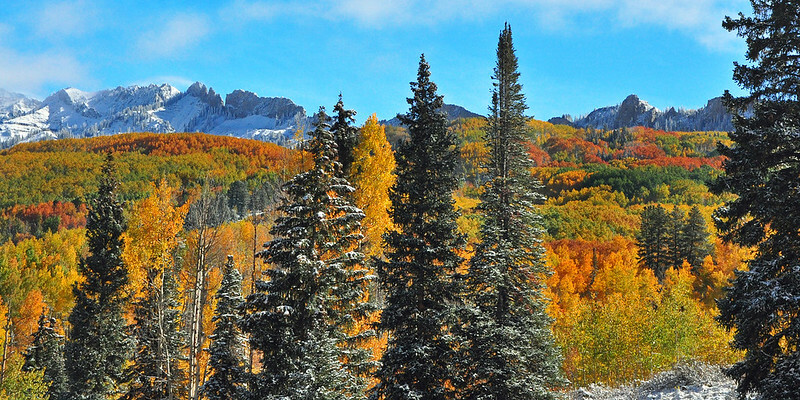 These cover the walls of my house, and I'm constantly in awe of the beauty of Kebler Pass. 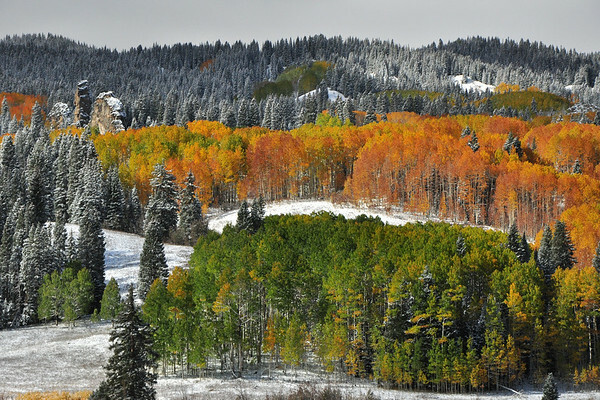 Now, many people will struggle to find this combination of perfect fall colors and a dusting of snow (it happens every decade or so, according to locals), so don't count on quite the same views. 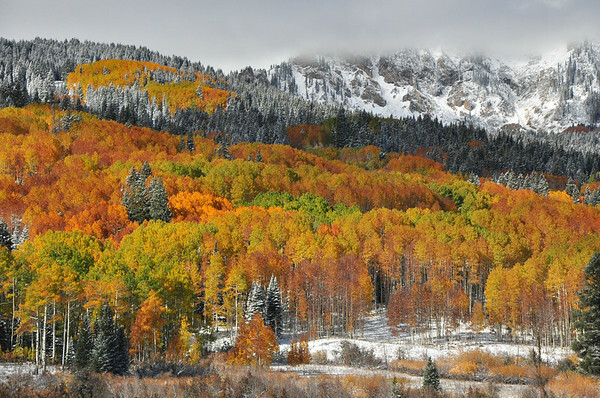 In fact, orange aspens themselves can be a rare sight in such quantity. 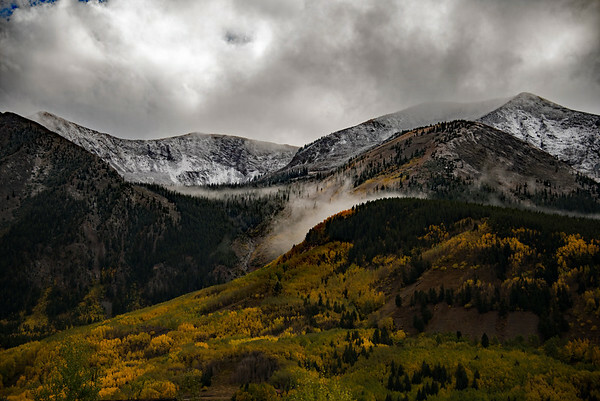 All of my photos of the Crested Butte area are in the Colorado Photos gallery. Enjoy!